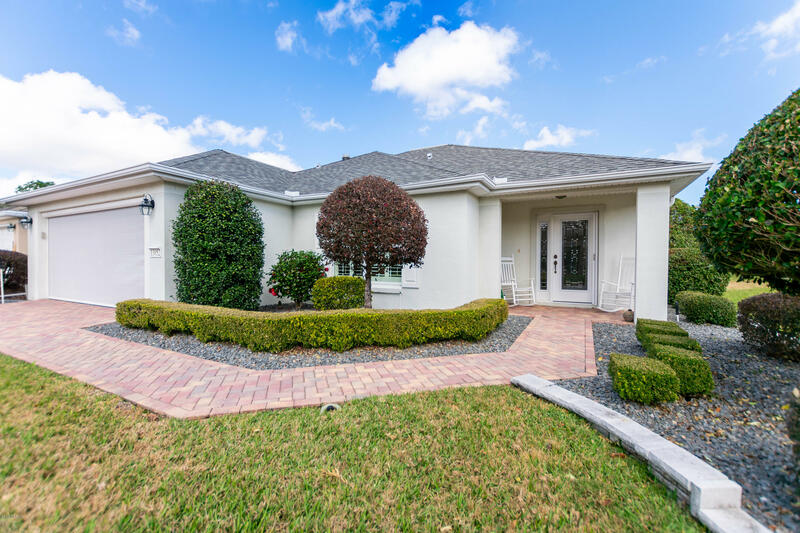 This impeccable 2/2 Alydar Model showcases designer elements including architectural highlights of elevated ceilings, crown molding, all tile and whole house plantation shutters. A gorgeous upgraded kitchen with granite counter tops, stainless steel appliances, extra tall custom cabinets, a pantry and a dining area large enough for guests. Enjoy the morning sunlight flowing from a large shuttered window into the over sized master bedroom and the sleek modern design of the master bath will make you feel like you are in your own personal spa! To top it off, at the end of a great day of golf relax on your perfectly enclosed patio looking out over your beautifully landscaped yard! This is the perfect place to enjoy the active and exhilarating lifestyle only Del Webb knows how to deliver!